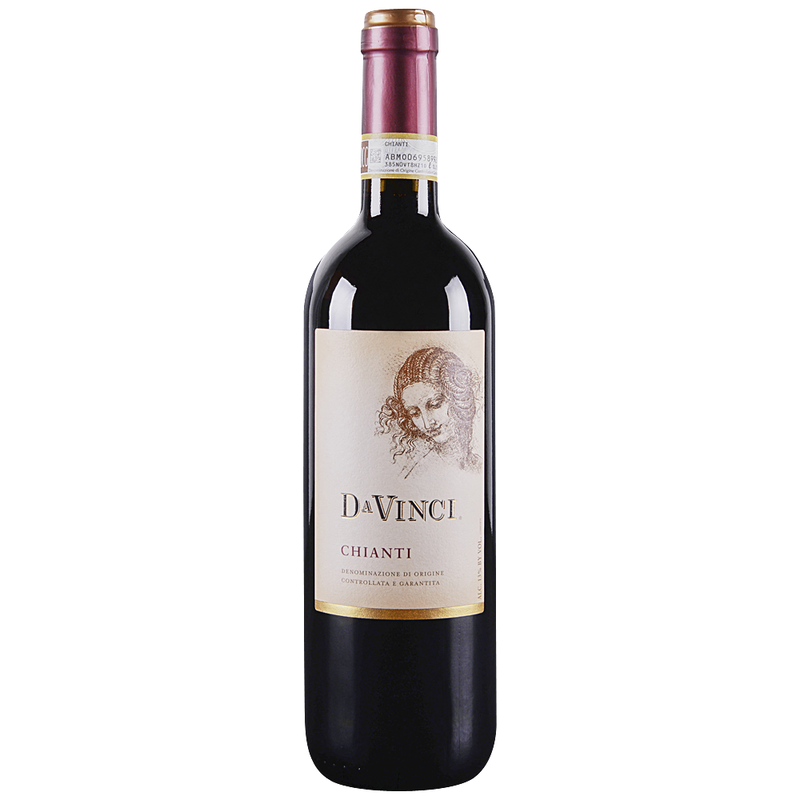 Our Da Vinci Chianti has a bright ruby red color and opens with aromas of ripe plum and cherry, accented by peppery notes. On the palate, this wine is medium-bodied and well-balanced with round tannins that linger in its soft mineral finish. Each bottle of our wine begins its life just outside the historic town of Vinci. There in the Tuscan hillsides, over 200 local winegrowers have joined together to form Cantine Leonardo da Vinci - an innovative growers' cooperative committed to producing authentic Tuscan wine.